A few weeks ago we shared some stories of our friends who have spent time in the NICU working with NICU nurses as part of our partnership with Huggies. We have some more cool programs to share today that are all about some relatively unknown needs within our community and others. 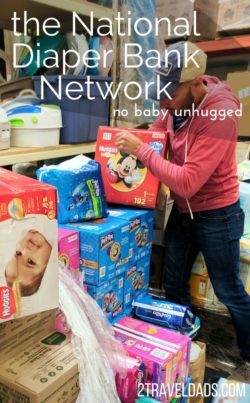 As part of Huggies No Baby Unhugged we have encountered one of the most intense operations we’ve seen when it comes to community support: the National Diaper Bank Network, which Huggies became a founding sponsor for in 2011. For so many of us, we are aware there are countless families in our communities in need and oftentimes we don’t know where that need actually is or how to help. We visited WestSide Baby in Southwest Seattle and learned so much about the people of the Seattle area that we never knew. We learned about the needs of families just settling in the area and about families who come upon unfathomable hard times and just need support of the basics. 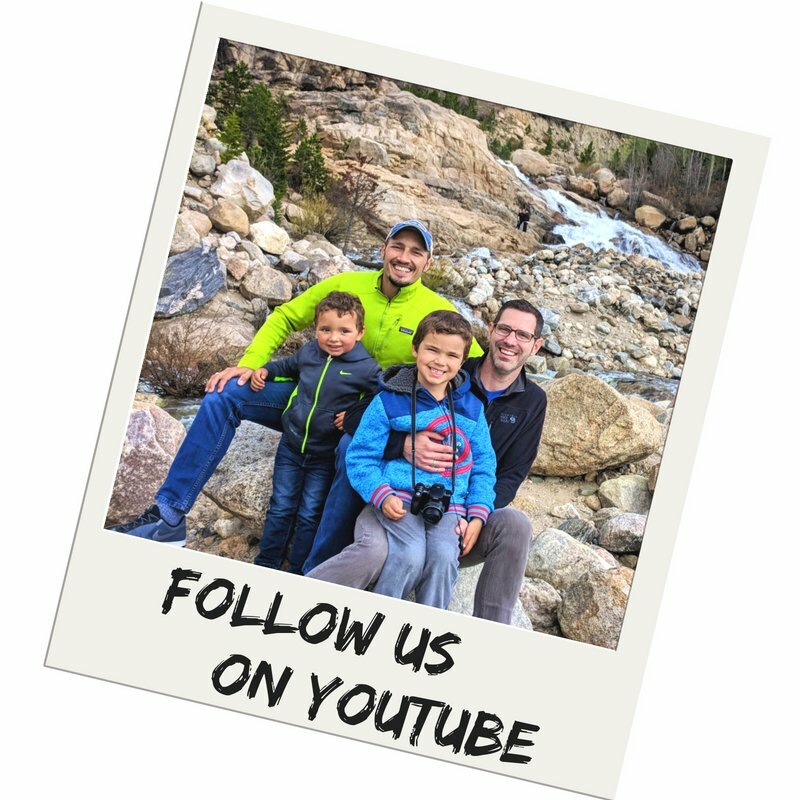 The National Diaper Bank Network (NDBN) connects and helps launch community organizations supporting these families and I’ll tell you, visiting a location and hearing the stories really opened my eyes about those just outside of our little world. What is the National Diaper Bank Network? How does Huggies help babies through the NDBN? The National Diaper Bank Network is so much more than it sounds. 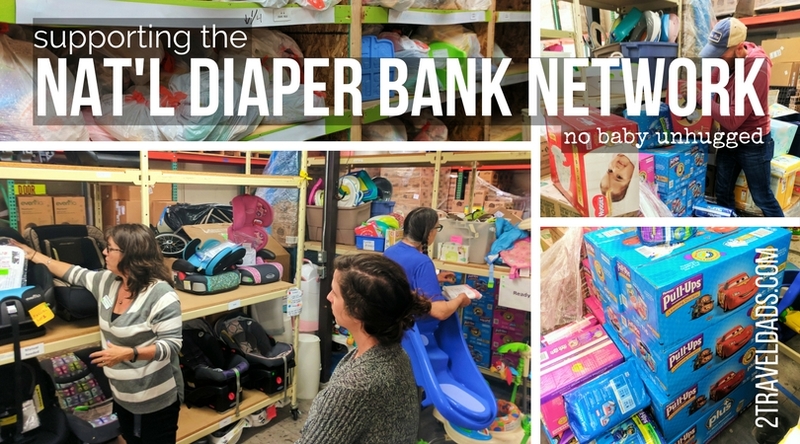 Yes, it is a place for awesome companies like Huggies to donate diapers and supplies for families in need, but it’s also an amazing resource for diaper banks within each community. 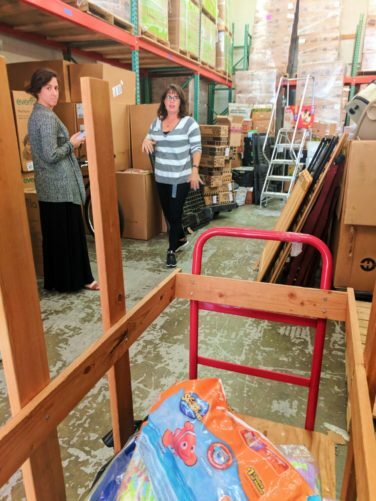 We spent time at WestSide Baby here in our own community and learned about all of the different ways they support the entire Puget Sound area. 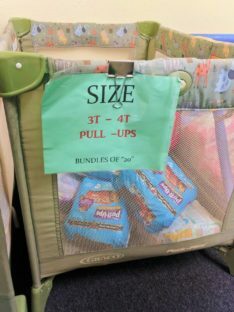 From diapers newborn to size 6, to Huggies Little Swimmers and GoodNites, or even car seats and strollers, diaper banks are an incredible resource for families who’ve either come on tough times or are just starting out without the means to fully support themselves. 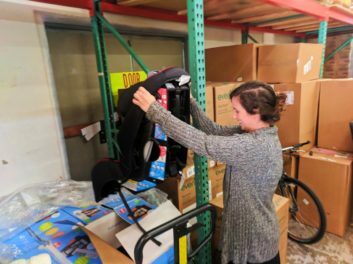 The goal of WestSide Baby is to provide essential items to children in need when their caregivers and families are struggling; to keep them safe, warm and dry. In talking with Nancy and Toni at WestSide Baby I came to really understand how thorough and intense of a process their support is. 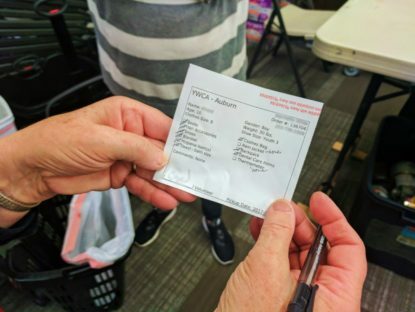 Providers, such as community social services or nonprofits like the YWCA, work with individuals who come in looking for some form of assistance, maybe not even knowing what is available to them. 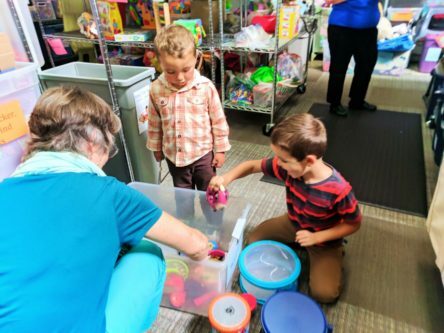 At WestSide Baby, the social worker or staff of one of the programs will work with an individual or a family to determine what their needs are. 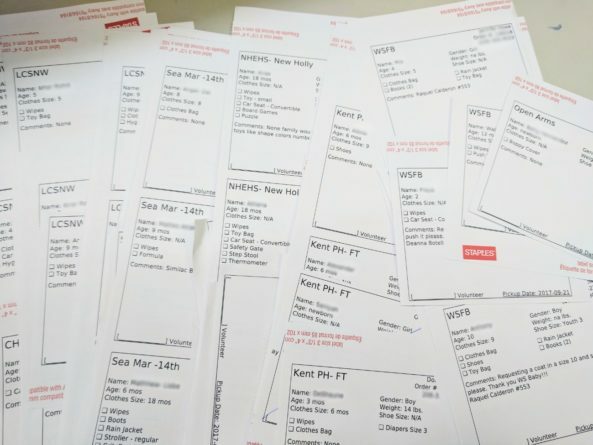 The social worker determines what supplies are needed, then they will use an online system to actually complete an order request. 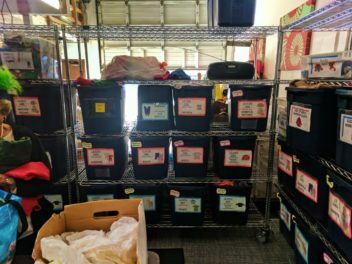 The diaper bank, or in our case WestSide Baby, will process the order and fill it to the best of their ability. 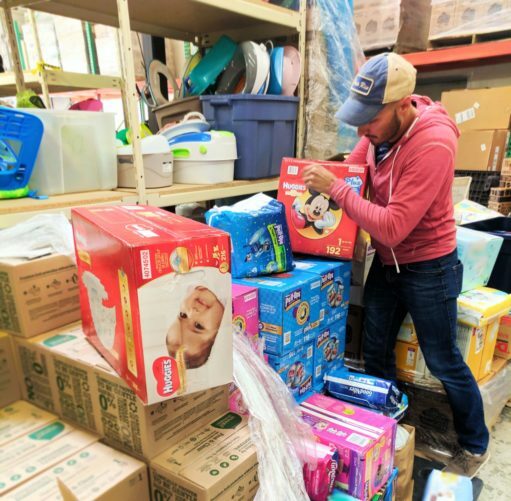 Volunteers go through they’re small warehouse of diapers, supplies, children’s clothing, books, and newborn equipment to put together bundles addressing basic needs. Note: sometimes a request comes through with supplies that the diaper bank doesn’t have enough of. In that case, the provider (nurse or social worker) oftentimes will fill that gap out of their own pocket, much like teachers will do when they can’t get enough school supplies for their classrooms. So, who is it in our community that is receiving this life-changing support? 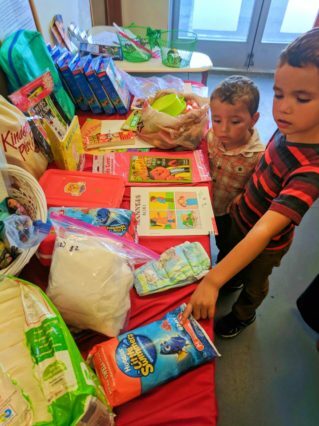 Sometimes it’s a young single mom in need of newborn diapers and supplies to get a new baby started in life; sometimes the request is putting together clothes, diapers, and books and games for an entire family of refugees coming to the area with nothing. Another example of who is supported through the National Diaper Bank Network may be single parents, or somebody leaving their former home situation due to domestic violence or other emergency circumstances. Really, it’s difficult to capture how many different people and situations in the community are being supported. 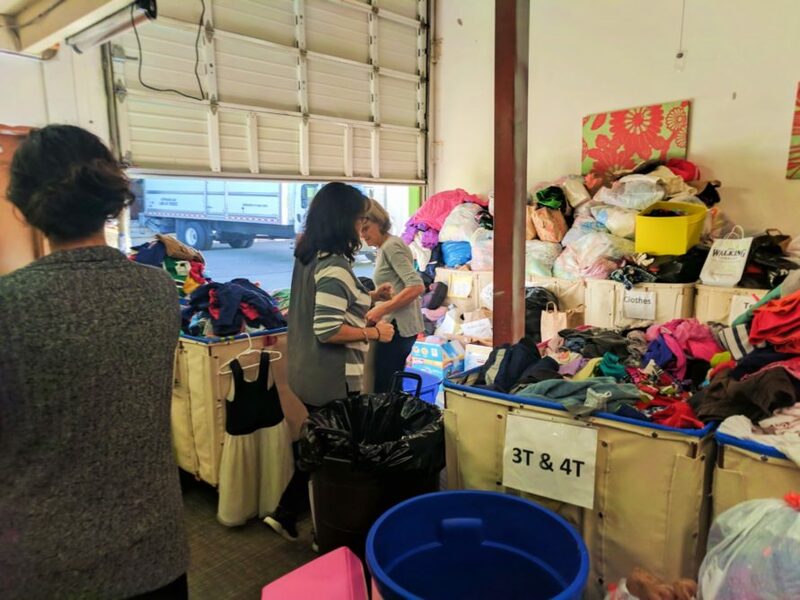 A moment that really stuck with me as we were looking at different orders was this: some orders were for families with two or three kids needing a variety of children’s clothing sizes, a few orders were very simple, and then we saw a request for a refugee family that has not even arrived yet but whose family has proactively asked for support. 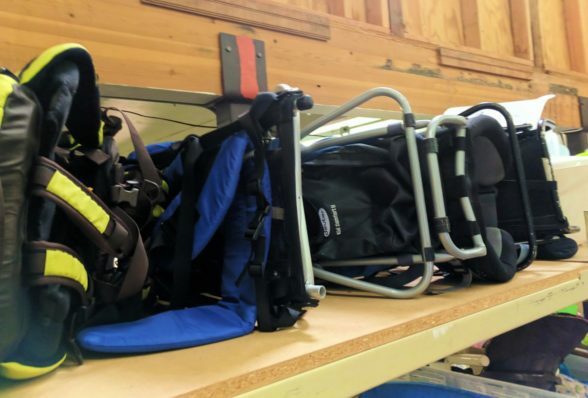 They are supposed to arrive in the next two months and already, WestSide Baby is working with somebody to ensure that family has the essential goods for a safe start when they arrive in the Seattle area. Some of the stories we talked about today really tugged on my heart, both as a dad and as a member of the Puget Sound Community. We have such a happy household sometimes it is difficult to imagine people just beyond our door who are struggling. Note: WestSide Baby completes 600 to 700 orders per week to be distributed all around Western King County (Seattle area). It’s inspiring how many lives are touched by this amazing crew and the donations they distribute. In 2011, Huggies became a founding sponsor of the National Diaper Bank Network (NDBN), with WestSide Baby being a part since its inception. With the growth of the NDBN and individual locations, such as WestSide Baby growing on their own, it became important for those individual locations to establish a diverse support base beyond founding financial contributions. Since the NDBN began, countless individual contributors, local businesses and larger corporations have been able to really make a difference in thousands of people’s lives annually. When it comes to the diaper side of things, the numbers, and I don’t like to share numbers, but the numbers blew me away. The need is huge. 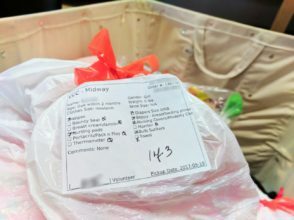 Last year WestSide Baby here in Seattle supplied families with 1.4 million diapers. 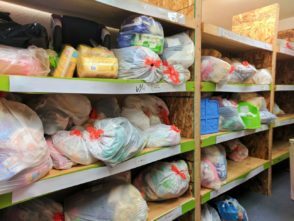 What’s shocking about that though is that if they were able to supply diapers to everybody in our area who is below the poverty line or the line that’s considered for social assistance, 22 million diapers would have been needed to diaper all those growing babies. That’s just incredible. 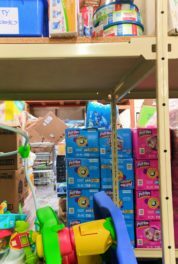 Note: diapers don’t fall into government assistance programs, such as WIC, which is why the diaper bank is so crucial to supporting families. 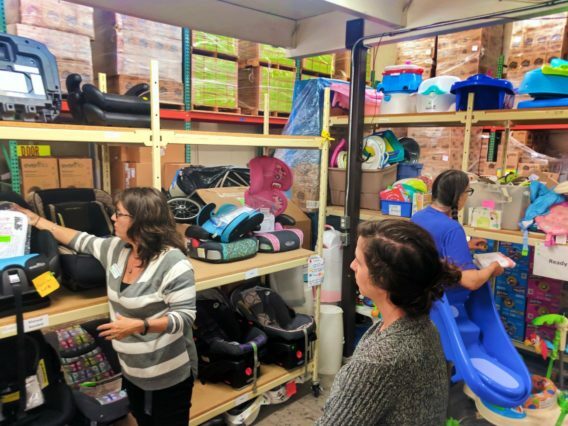 It might seem strange to think of a place like WestSide Baby or any other National Diaper Bank Network member location as a life-changing spot but it totally is. In Huggies and the NDBN’s new study, Diaper Need and Its Impact on U.S. Families, 57% miss work or school due to a lack of sufficient diapers required by childcare, day care or early education programs to care for a baby or toddler. As a result, parents experiencing diaper need missed an average of four days of work or school in the past month. It means that you can’t go out and get a job if you’re unable to leave your child in another’s care set up to have a healthy, dry day. That’s why the NDBN and local diaper banks are so life-changing for so many. There are so many ways to help when it comes to organizations such as the National Diaper Bank Network. 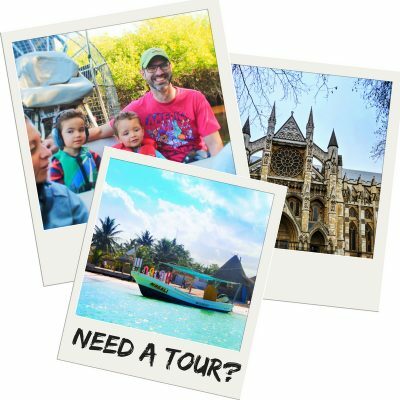 Of course, there are always the amazingly helpful ways of making financial contributions if you are able, but there are also ways that you can donate your time. WestSide Baby and other diaper banks always need volunteers to sort through donations and to fill orders that will go out into the community. If you’ve got a knack for folding baby clothes, great! 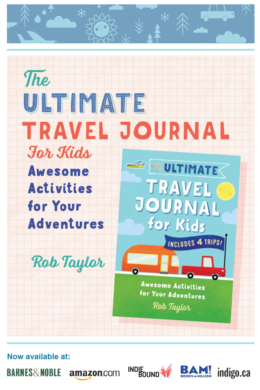 If you live to organize books alphabetically or diapers by size, then there is a job for you! 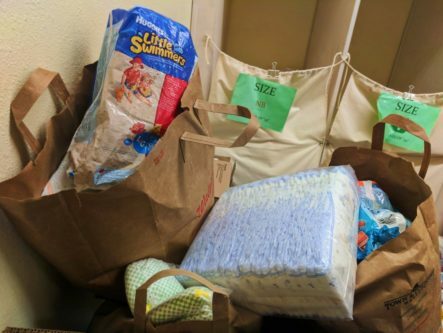 If you’re one of those people who is incredible at getting others to take action from the ground up, starting a diaper drive in your workplace or working with community businesses to do a larger diaper drive would be something you could do. Truly, the possibilities are endless. 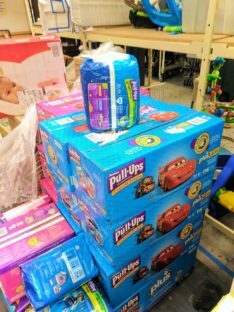 Over 200 million diapers and wipes have been donated by Huggies, but the need goes on. If only everybody could have the experience we had today, going in and talking with volunteers and seeing what happens at the ground level. It was eye-opening and inspiring.